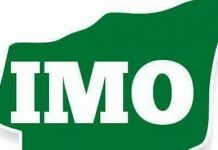 The Imo State governorship candidate of the Action Alliance (AA) in the just concluded election, Uche Nwosu on Thursday described the level of irregularities uncovered in some Local Government Areas during the governorship election as alarming. He noted particularly that what transpired in the four Council Areas of Aboh Mbaise, Ahiazu Mbaise, Ezinihitte and Ngor-Okpala was unhealthy for the nation’s democracy. 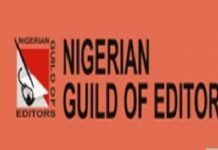 Nwosu who recently got the nod of the Tribunal to inspect election materials, stated that he is confident that he will reclaim his “stolen mandate”. According to him, “My mandate will be reclaimed, Emeka Ihedioha never won the election, we have gotten the leave of the Tribunal to inspect the sensitive materials used for the election and what we saw is alarming and a lot has been revealed, the illegitimate declaration will soon be reversed. “If you subtract the bogus votes the PDP candidate allocated to himself in the three Mbaise LGAs and Ngor-Okpala you will notice that I actually won the election but Ii have faith that the Tribunal will do the right thing and annul that election”. 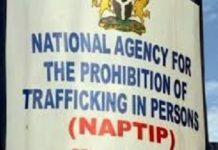 Nwosu also blamed the irregularities on the ad-hoc Staff, especially the University Professors and lecturers who he said compromised the governorship election. He called for a review of the use of these academia in subsequent elections, describing their alleged complicity on electoral fraud as a huge threat to the nation’s democracy. 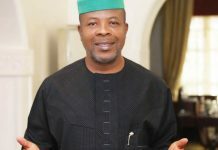 According to him, the People’s Democratic Party (PDP), Emeka Ihedioha never won the election, as according to him, he never met the constitutional requirements to be declared governor-elect.